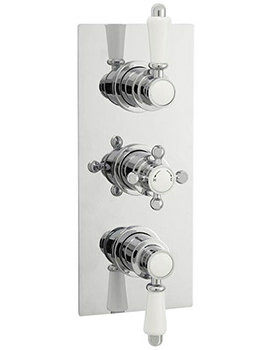 The Premier Bathroom Victorian Thermostatic Twin Concealed Shower Valve brings vintage style to the interiors with the perfect blend of traditional design and superior quality craftsmanship. 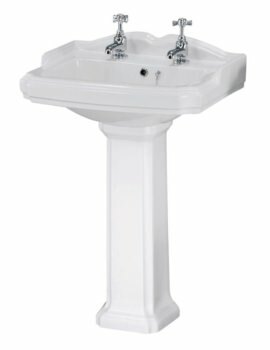 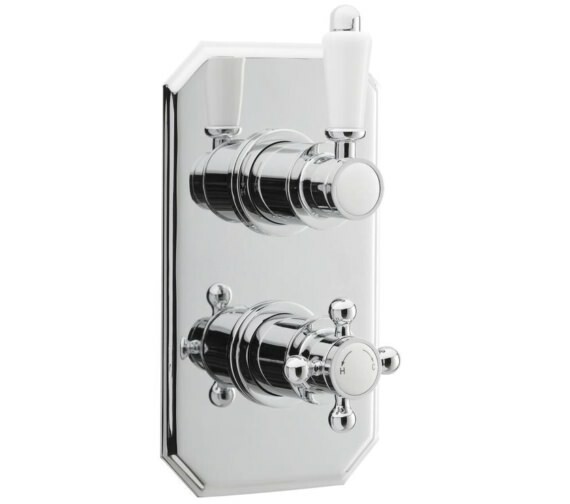 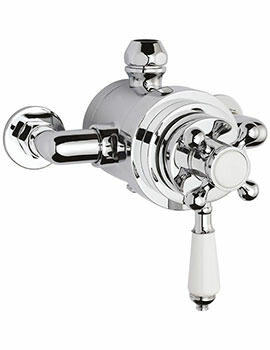 The lever handle gives a smooth and intuitive control over water flow and outlet while the cruciform handle with period style inscription controls the hot and cold feeds. 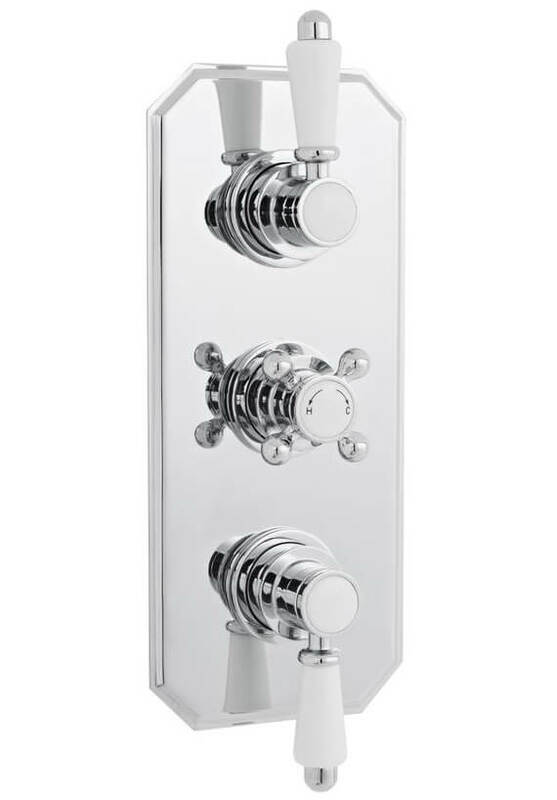 The brilliant chrome finish gives it a bold, gleaming form which is ideally matched to the aesthetics of the modern interiors. 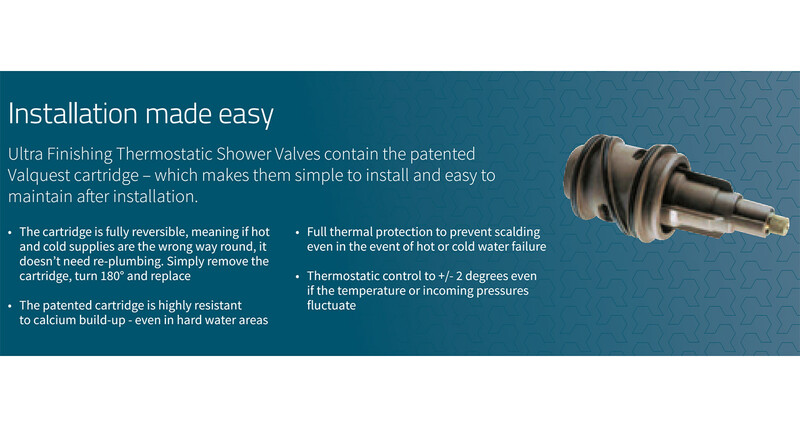 It offers full thermal protection to prevent scalding in the event of hot or cold water supply failure by automatically shutting down the system. 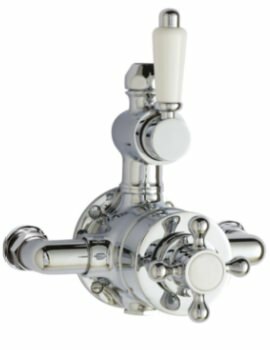 The patented cartridge is highly resistant to calcium build-up, even in hard water areas. 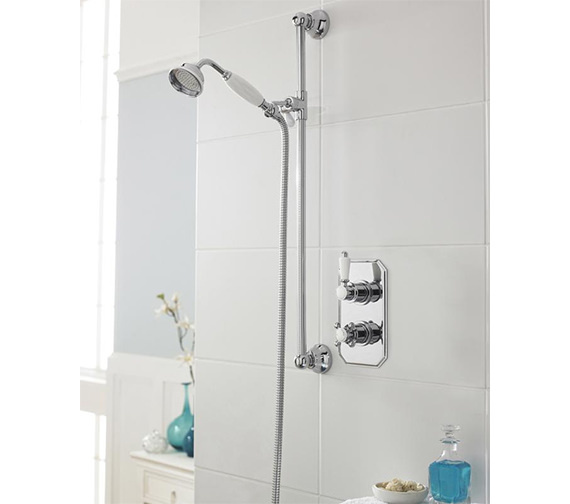 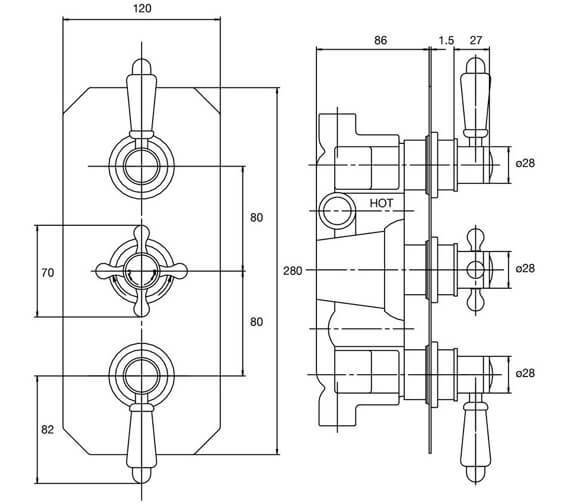 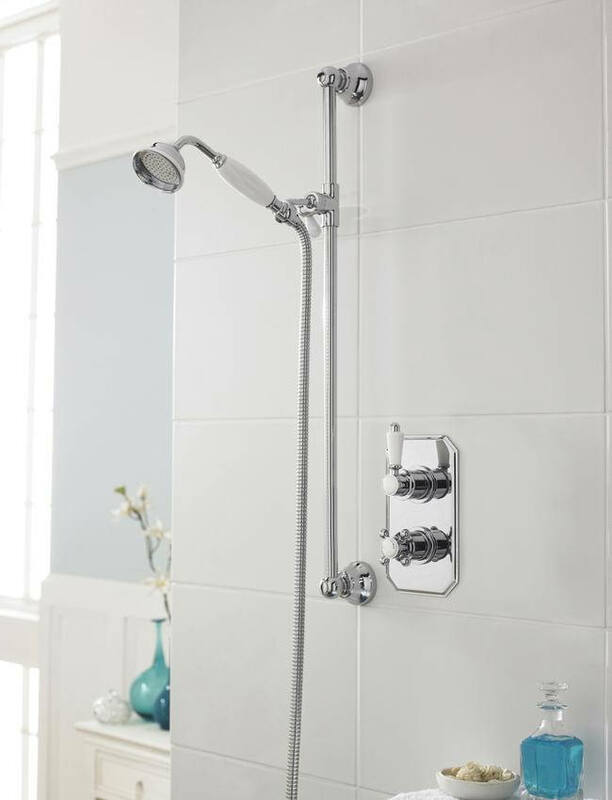 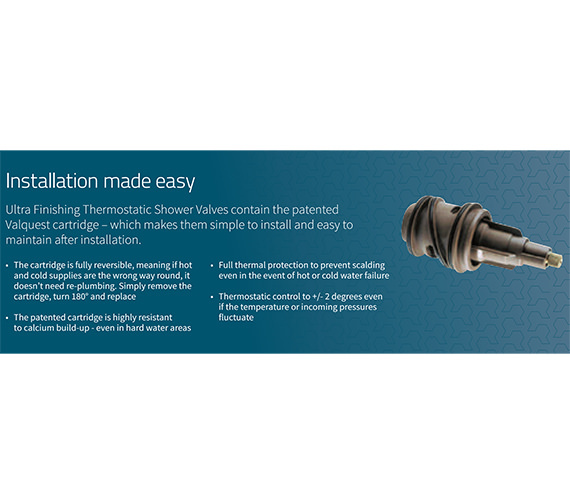 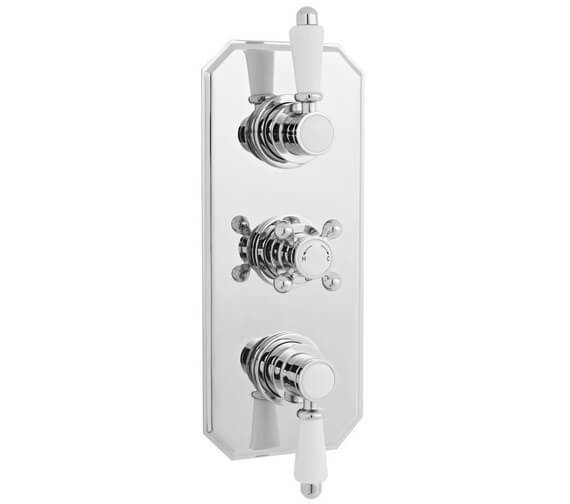 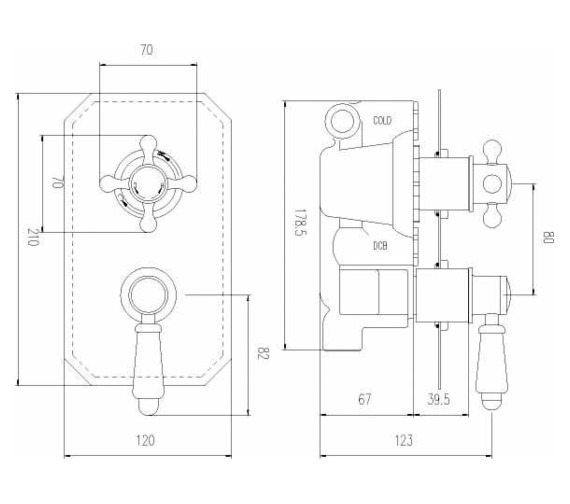 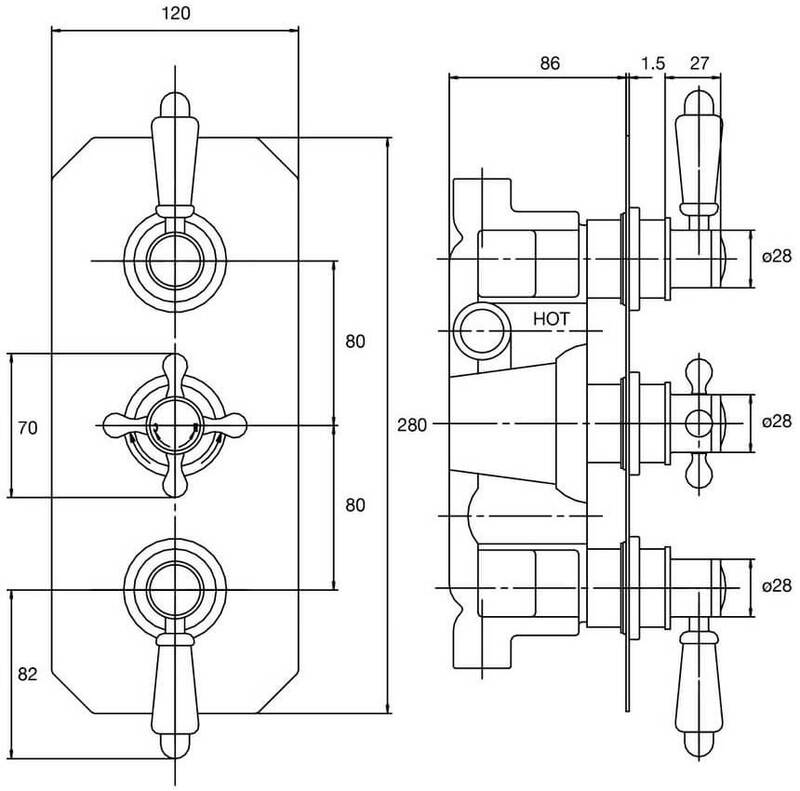 Triple thermostatic shower valve - ITY317.